With any type of commercial business, it's important to protect the bottom line. It's even better when the bottom line can be increased. It doesn't matter whether you have a large established trucking fleet that travels cross-country or a small group of trucks that operates in town, it's important to have the right tools to ensure that business operates as it should. Trucks haul goods. The nature of the business is the more you haul, the more money you make. Except when overloads occur, so do fines. Too much weight on a smaller truck can cause significant damage to the vehicle. Too much weight on a larger truck causes wear and tear over time reducing the overall life expectancy of the vehicle. 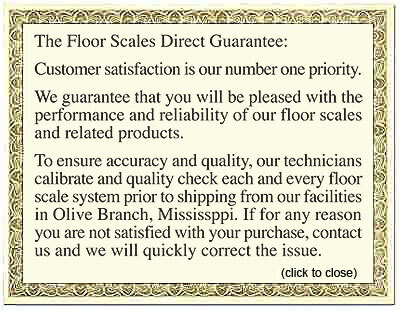 Truck scales solve weight problems, discrepancies and overload packing issues. Drivers who take trucks cross-country for shipments and delivery will undoubtedly have to stop at truck weigh stations to check their loads. States use truck weigh stations to perform safety checks and also collect taxes that are determined by the weight of the transported load. Overload fines can be costly, so it's important to be aware of your truck's weight before arriving at a weigh station. Typically, a truck will be weighed by either its gross weight (weight of all axles combined) or its axle weight (weight that each axle carries). Portable truck scales are perfect for mobile weighing needs and help ensure that goods picked up along the way won't exceed allowed weight restrictions. Portable truck scales can also be linked together when a multi-axle weight check is needed. Smaller trucks and vehicles that haul trailers also need to be aware of their vehicles' load weight. Overloaded vehicles can be fined by law enforcement and are a dangerous hazard on the road. A truck scale can ensure the vehicle is safe to operate.